I have a long-held fascination with the Great Exhibition of 1851, and more generally the means through which we structure value through things. In March, an insurgent research group I am part of visited Genva to meet with artists, academics and activists at CCC, part of HEAD (Haute école d'art et de design). We were introduced to, and inspired by their nascent work on the Anthropocene Atlas of Geneva (TAAG). Sensing large scale climatic changes and understanding how human activities are influencing these changes, is complex and challenging. As a result, the reserachers in Geneva are working on micro-investigations in the city, developing local indicators, indicators we learnt to call erratics, of long term climatic change while identifying institutions and communities experimenting with resilience to the changes to come. 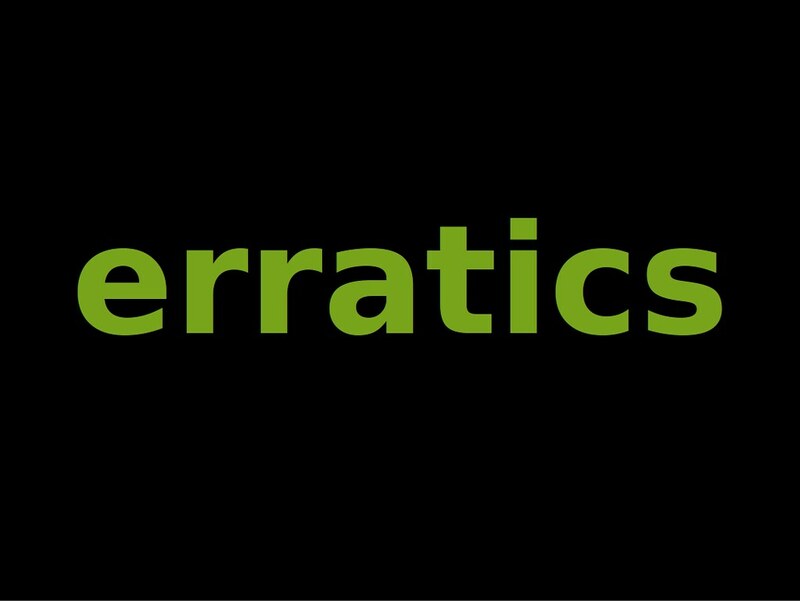 You can read about our walks, meetings and presentations. 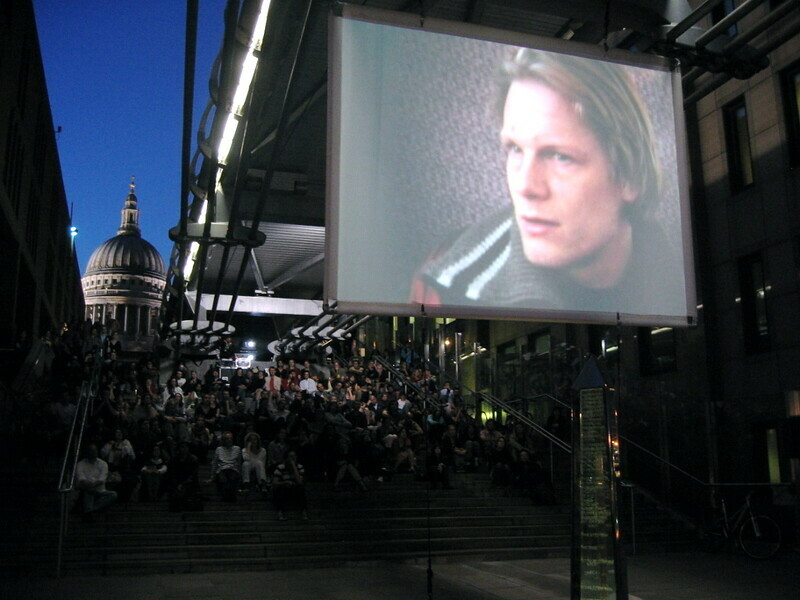 Social Cinema consisted of a series of temporary cinemas, each installed for one night only into the existing urban fabric of the London Architectural Biennale designated route between Exmouth Market and the Millennium Bridge. Films about, set in, or commenting on London and its architecture were stunningly projected upon the city itself. At each location, buildings became screens, steps seating, residents generously gave power, or loaned their houses as projection booths. The architectural fabric of the temporary cinemas was improvisery, and playful; pallets borrowed from an adjacent market made temporary bleachers, plastic crates from local pubs and restaurants became seating, neighbours joined the audience, and volunteers with torches transformed into ushers. Social Cinema turned un-built spaces into auditoria and spectacularly intervened in neglected places around landmark buildings. I have been collaborating with 51% Studios, and we have been selected by The Architecture Foundation, Rogers Stirk Harbour + Partners and the Royal Academy of Arts, to share our research as part of London As It Could Be Now: New Visions for the Thames. At a public workshop, we presented a beta version of #floodplain, an online platform that enables users to make collaborative, spatial representations of London, its main river artery, the Thames, and their floodplains. #floodplain also enables users to populate theses spatial representations with real time searches for geo-located images, and add observations from the astonishingly varied and fleeting enthusiasms of twitter. 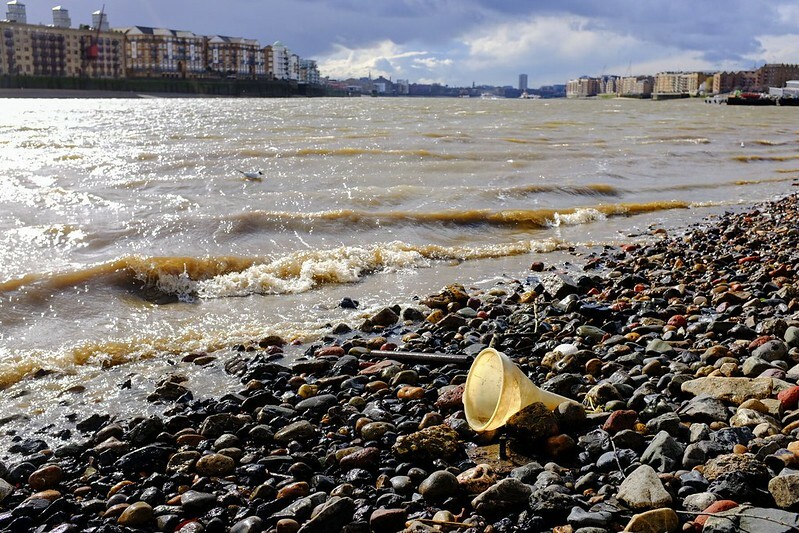 Using vast pools of open–access public data, #floodplain re-imagines the tidal Thames for the 21st Century, suggesting new ways to map, imagine, and inhabit London, its sites and their architectures. #floodplain is a new kind of public space, that will enable users to become architects of their own environment. 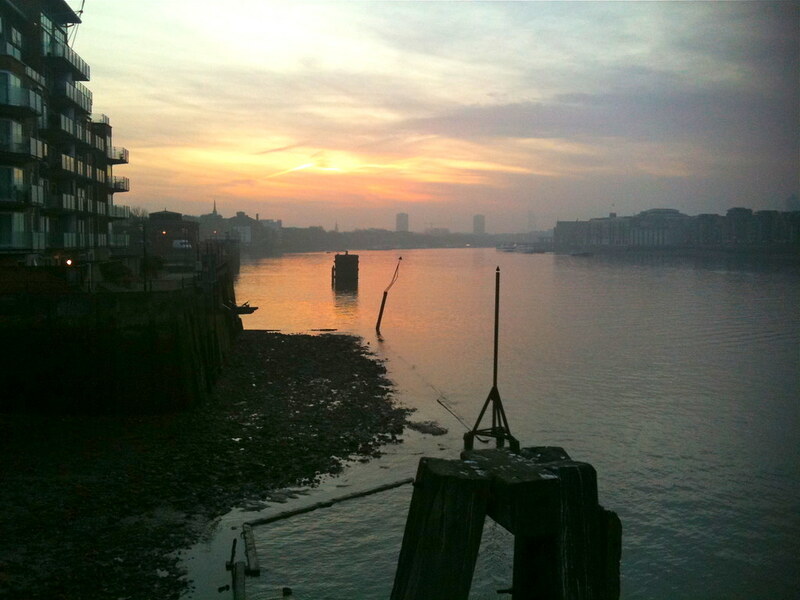 We will explore East London and see how tides of former industry, contemporary art and finance flow together in the economy of the Thames and its tributaries. We'll meander through the Limehouse basin, follow the Limehouse Cut pasy former industrial sites, to the river Lea, up to Three Mills, then north past the Olympic site, through the Hackney Wick of artists studios, start-ups, social enterprises and trendy micro-breweries, down the Bow Cut to Chisenhale and back to the museum via Matt's Gallery on the Regents Canal. 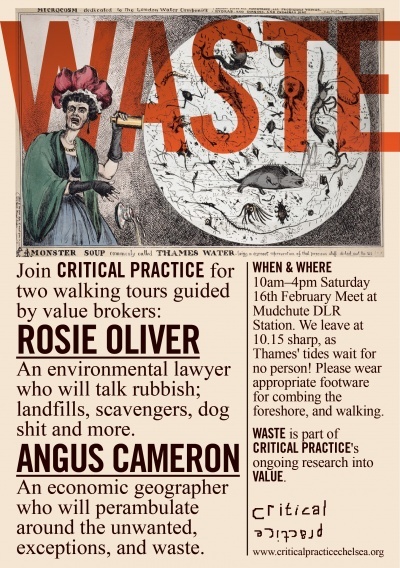 As part of Critical Practice I’ve been working on a series of events/walking tours/discussions. Over the next two years, we will work with a wide range of international partners to explore value from various and perhaps even contradictory perspectives. One strand of this research The Brokers: People, Spaces and Values will be a series of guided tours lead by a specific Broker, they will explore how different social practices of evaluation, are situated, localized and embedded in particular places, buildings, public spaces and institutions. Where: We will perambulate the Isle of Dogs, Greenwich and Blackheath, unpicking notions of waste, the unwanted and the marginal. The walking-tour format aims to investigate the specific situation of waste... Each activity will last an hour and a half, and comprise a combination of prepared tour, and animated discussion. Anyway, on my way there I stood stunned before the gates of heaven in Mile End, and the walk unfolded through banks of fog pierced by sparkling winter sun, like in a Turner painting. Beautiful.